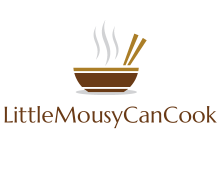 “Unlike Chinese-style plum sauce, Japanese-style wasabi or American ketchup or barbeque sauce, Vietnamese mixed fish sauce seems to express the philosophy of life, ‘cause it has enough the sourness, pungency, saltiness, and sweetness….as in life [..] The taste of fish sauce is salty but flavorful, and very sophisticated, ceremonious, popular, but greatly delicate. [...]The aftertaste seems to deeply pervade the memory and sentiment of any Vietnamese people wherever they are. Though the drop of fish sauce is tiny, its great flavor is really a part of the spirit of the country, of the people. It itself is the flavor of the home country in fadeless memory of every Vietnamese person far away, wherever they live from Austin to Australia”. 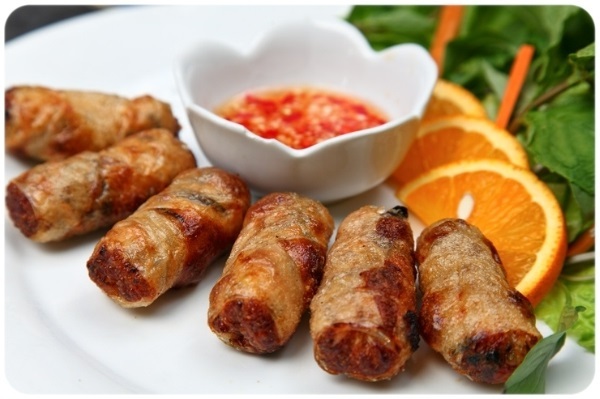 Further to the general introduction about Vietnamese fish sauce, this post will focus on recipe of derivatives from nước mắm, different kinds of dipping condiments for numerous dishes of Vietnam. 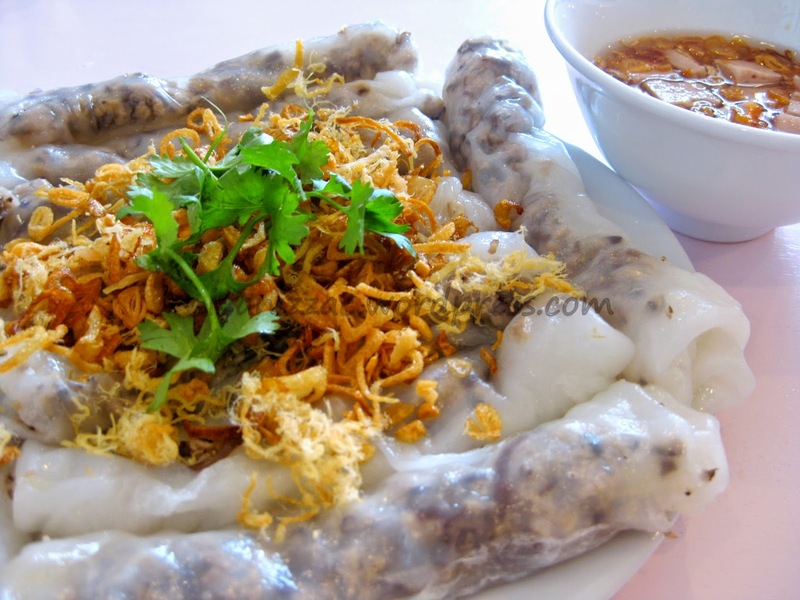 For those who attempt to make Vietnamese food, nước chấm is a very important step to make your dish right and flavorful. The following recipes will provide you with exact ingredients and how to make your dipping sauce blow your dishes. 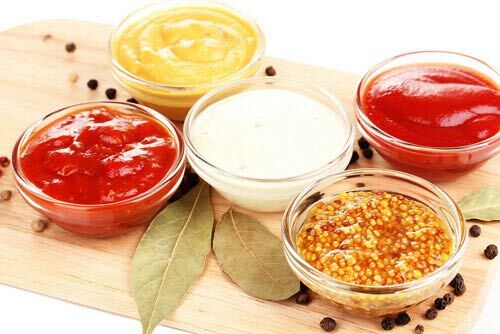 It is an important tip when preparing dipping sauce in Vietnamese style is that the main ingredients should be well mixed to fit your taste first before adding optional ones (garlic, chili and pepper). Because after adding those spices, you will find it difficult to adjust the right flavor you want that may affect your dishes later. In general, nước chấm is mixed according to the ratio 3:1:1:1 for water, sugar, fish sauce, lime juice respectively. However, this ratio can be adjusted to fit your taste and dependent on your type of fish sauce. First, combine water and sugar in a bowl. Add lime or lemon juice in increments. Add fish sauce in increments until you like how it tastes. Top with garlic and chilies. 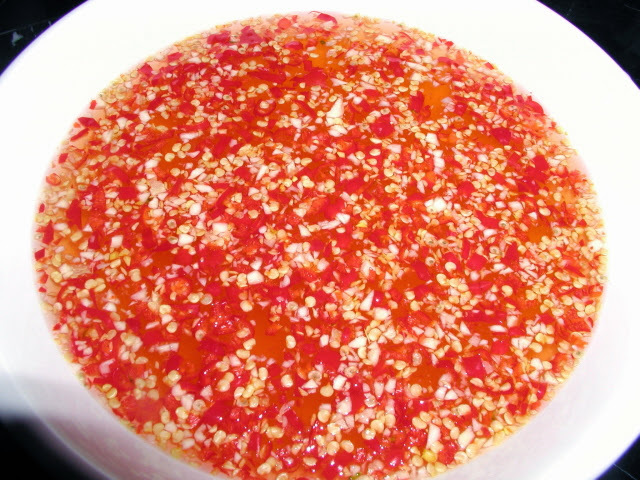 It is noted that garlic and chili should be chopped into fine bits as tiny as possible so that they can elegantly float on the surface of the dipping sauce. 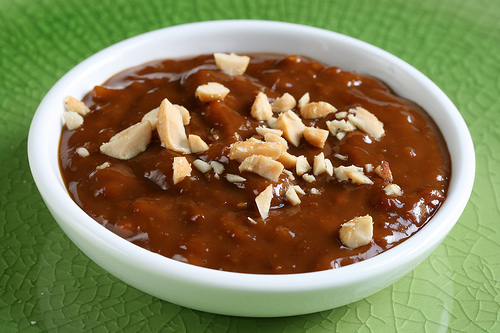 Outcome: A bowl of blended dipping sauce has apricot yellow like honey with the distinctive taste: a little sourness of lime juice, the sweetness of sugar, the pungency of garlic, the aroma of black pepper, spotted with some slices of spicy chili, combined with carrot or green papaya slices. Step 1. Mince pork liver or slice into small piece and grind using blender or food processor. Mix the liver with fish sauce, 1/2 of the chopped garlic (soup powder and seasonings) for at least 20 minutes. Step 2. Heat the oil, fry garlic until it smells good, then add liver, stir well until thoroughly cooked. Add about 2 cup of water. When the liver and water boil, add 2 tbsp of soy bean sauce. Add ground and toasted peanut and sesame. Step 3. Seasoning to fit your taste. Dissolve tapioca starch in water then add to the above pan to create viscosity. The outcome must smell good and buttery, a little bit sweet but not salty, and a little bit viscous but not watery. Different from others from bánh family, the dipping sauce of bánh cuốn follows the ratio: 1 sugar + 1/2 vinegar + 1 1/2 fish sauce + 3-4 warm water (chicken boiling water or fresh coconut extract can be used instead if prefer). Add sliced or chopped chili and lime or mandarin. In this case, mandarin carries special attractive aroma and flavor for the sauce. To prepare dipping sauce for bánh cuốn, you first boil down sugar until it dissolves and turns into light yellow. Add fish sauce and more water (chicken boiling water is the best choice). Add mandarin juice, chili, fried shallots and pepper when serving. This method produces the best dipping sauce however it is difficult to achieve because the sugar easily get burnt and we don’t know the right time to add vinegar, fish sauce and water. - Peel off the papaya, remove its core, cut off the stalk, soak the papaya in salty water for 30 minutes. - Peel off the carrot, divide equally into 3 pieces. - Chop the chilies into fine bits. - Mince garlic into fine bits. - Chip carrot and papaya into thin slice, you may also carve flower from these two ingredients. - Take lime juice, remove its seeds. - After removing salt water, add 2 tbsp of sugar, 1 tbsp of soup powder, 3 tbsp of lime juice, ½ chopped chili, shake them all, and seasoning to fit your taste. - Keep the carrot and papaya pickles for 10 minutes. - Follow the ratio of 5 water : 2 fish sauce : 1 lime juice : 1 ½ sugar, add chopped garlic and chilli. Seasoning to fit your taste. - Boil the dipping sauce until it’s warm. - Scoop the sauce out into bowls, add vegetable pickles and grilled chopped meat, served with rice vermicelli. 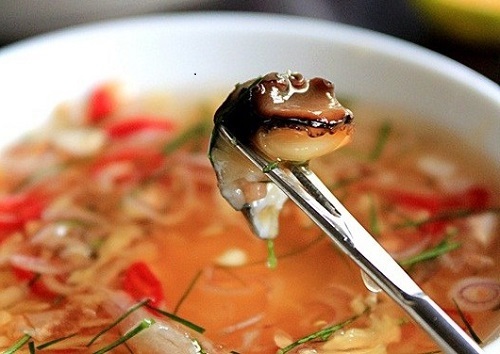 Dipping sauce is supposed to be the soul of Snail dishes with a combination of variety of ingredients elevating their flavor. In Vietnam, snails are among the most popular street side food for all ages, especially pregnant women (I have not been pregnant ever so I don’t know why it is that fact). Street side stalls of snails grow as powerful as mushroom to meet the increasing demand for this kind of delicious snack. However, what differentiates such stalls from one another significantly lies in flavor (or quality) of snail dipping sauce. Words of mouth from female tasters regarding the dish and its accompanied sauce may decide the fate of one stall. - Mix fish sauce, water and sugar according to the ratio 2:1:3, boil to dissolve the sugar well. Cool it down before adding chopped ginger, garlic, chili, lime juice and stir well. 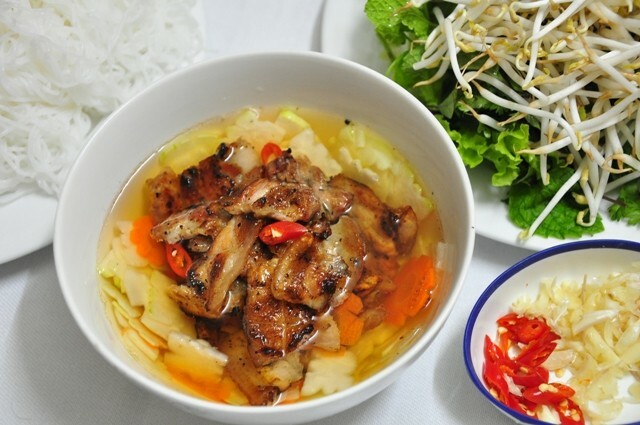 - Top with chopped lime leaves and lemongrass. If prefer more spicy taste, you can add more chili or minced chili to enhance the flavor.